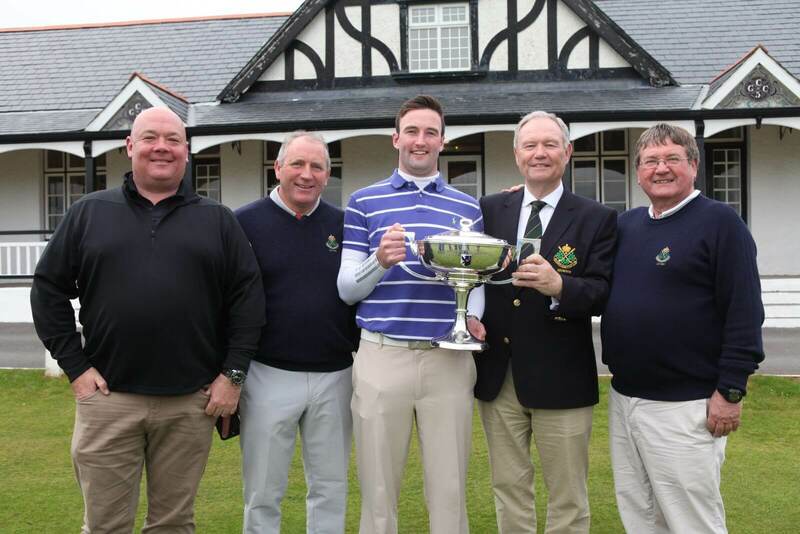 Congratulations to Barry Anderson, West of Ireland Champion 2017. 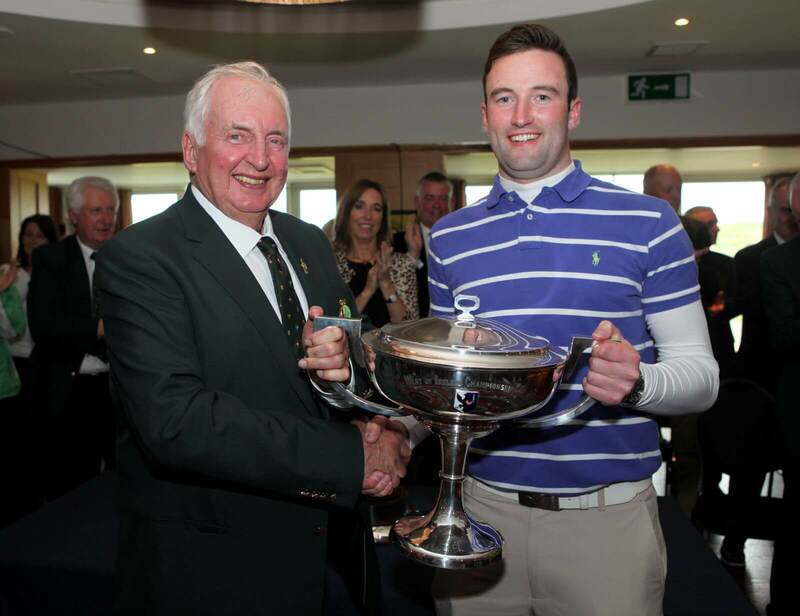 Barry produced a relentless performance from the start to beat Jack Pierce 3 and 2. He was three up after four holes and held his nerve going two up after tenth hole he took the match on the Sixteenth hole. 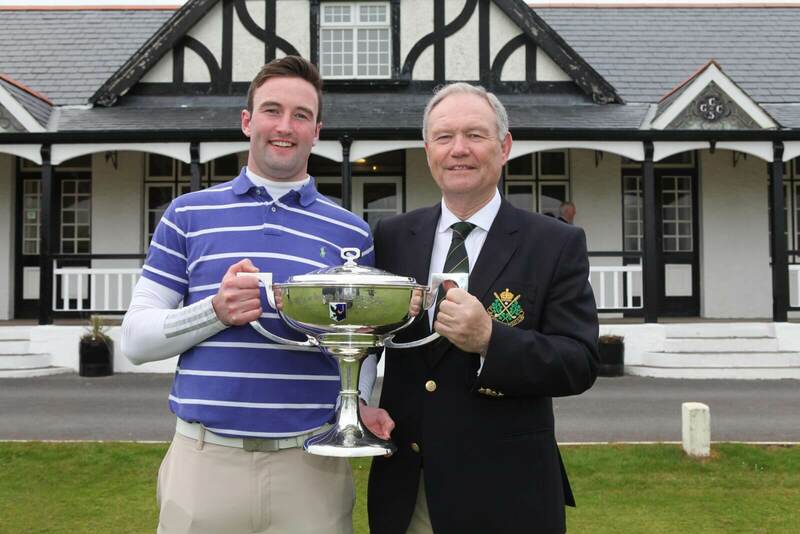 Barry, a native of Rosses Point is the first “home” winner of the trophy since Cecil Ewing won in 1950. 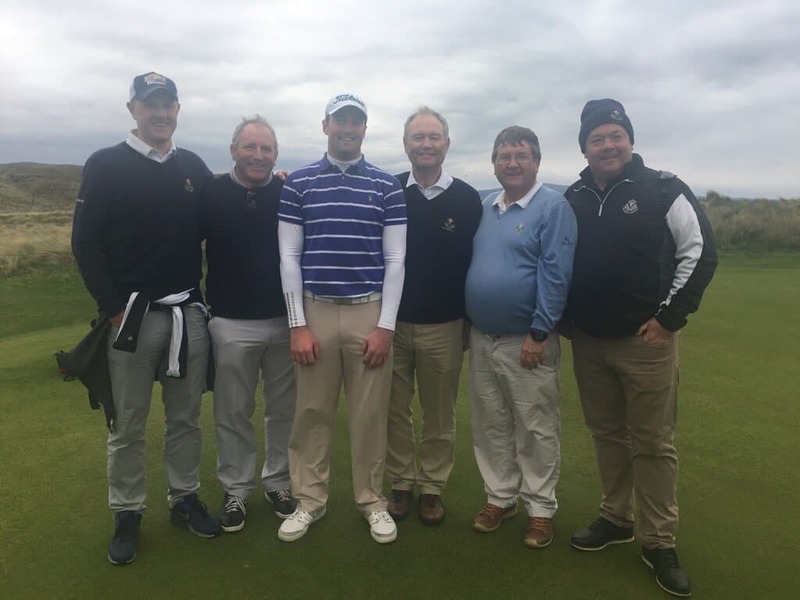 Brian McSweeney, Michael Chambers, Captain of the Club Peter Finnegan, Tadhg O'Sullivan and Tadgh O'Meara gather to congratulate Barry on a fantastic win.